Dubai is a perfect place that you can taste the best samples from the Arab Cuisine. Don't leave Dubai before You taste these 3 great dishes! One of the most popular dishes in Dubai, Al Harees can appeal to everyone who likes salty tastes. The main ingredients are meat, wheat and salt in Al Harees and the meat is generally chicken. However, like in other Arab countries, many different variations of this dish are available. This porridge-like dish is difficult to prepare as it take long hours to cook but it is worth it. First, the salt, meat and the wheat are cooked in a pot and when all of them gain a smooth and creamy texture it is baked for several hours. In some recipes, different flavors are also added in it making it even much more delicious. If you still haven’t tried Hummus in your life it means that you missed much. Hummus is not popular only in Arab countries. It is so famous that you can find it in the menus of most of the restaurants in western countries. 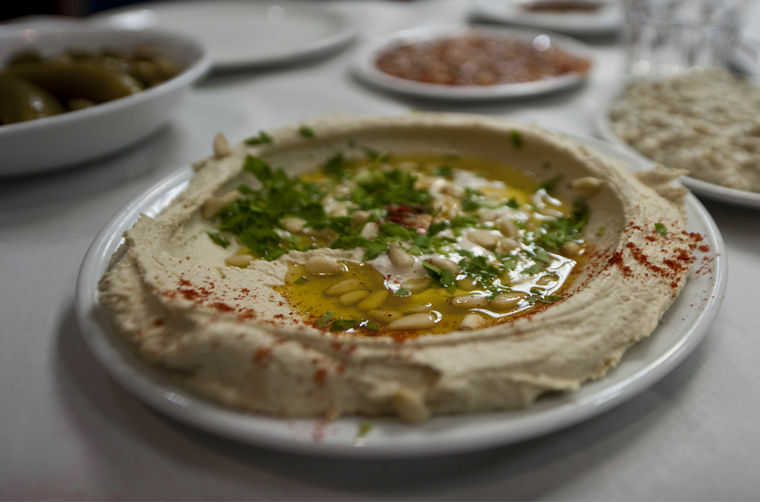 The word hummus means chickpeas in Arabic and not surprisingly, Hummus is made of chickpeas, tahini (a very popular ingredient in Arab cuisine), garlic, olive oil and lemon juice. The chickpeas are boiled and then mashed thoroughly to add tahini, garlic, lemon juice and olive oil in it. In some variations of Hummus, minced meat and nuts are added and it is served hot with butter. To taste the best version of this magical dip or spread, you are in the perfect place so never dare to miss that chance! Ghuzi is a dish that many variations can be found in Arab cuisine. Generally, it is pilaf (rice) with roast lamb and nuts on it. This traditional eastern food can be found anywhere in the world but the best recipes are always in their origin countries. In some variations, the rice is seasoned with vegetables or dried fruits other than nuts which makes Ghuzi even more nutritive and satisfying. The onion juice that is added to rice while cooking is also one of the secrets that makes the recipe more astonishing. Probably, Ghuzi will be one of your most favorite dish just after you return from Dubai.